Time Period: Post WW2 to 1980’s. Locations: San Francisco, Boston, Chicago, Kansas City, Toronto, Milan, and more! Charles Smiley has given considerable attention to Bay Area transit. His Key System releases are ‘must see’ shows. 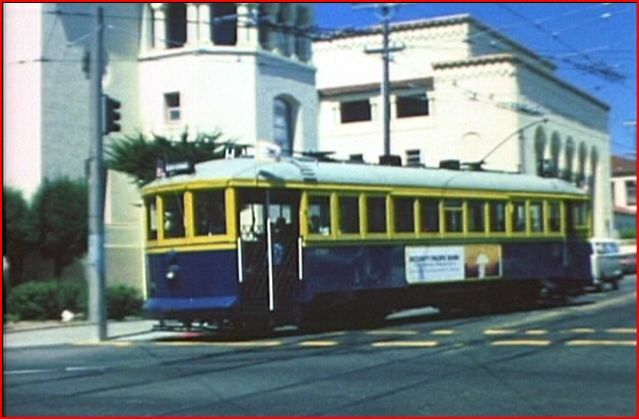 The Muni, as locals call their trolley system has briefly appeared on CSP. A dedicated program of San Francisco Municipal is most welcome. An ‘Iron Monster’ turns on a tight corner. An extremely comprehensive program. No stone is left unturned. 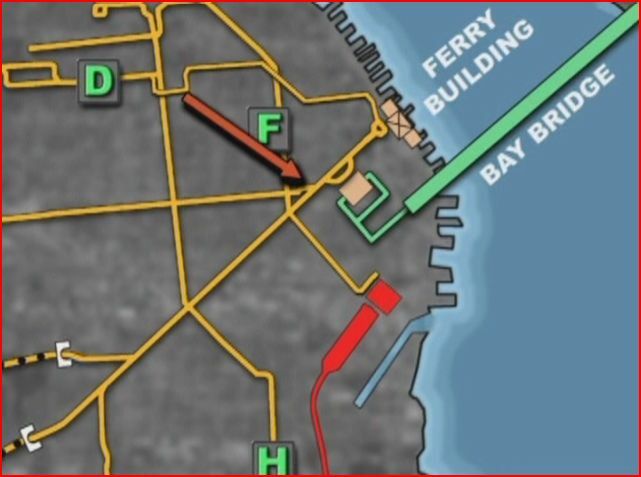 Ten letter lines, Market Street galore, and formation of BART are all here. 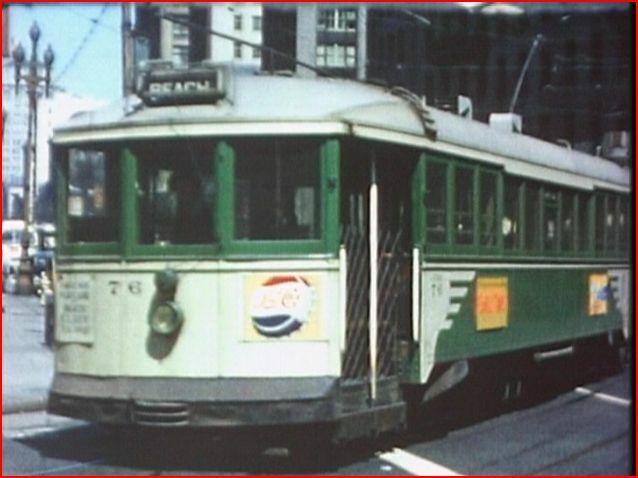 We will venture to other cities and even other countries to witness vintage trolley cars in operation, way back in the day. This expansive overview is full of surprises. The show gallops across the decades. 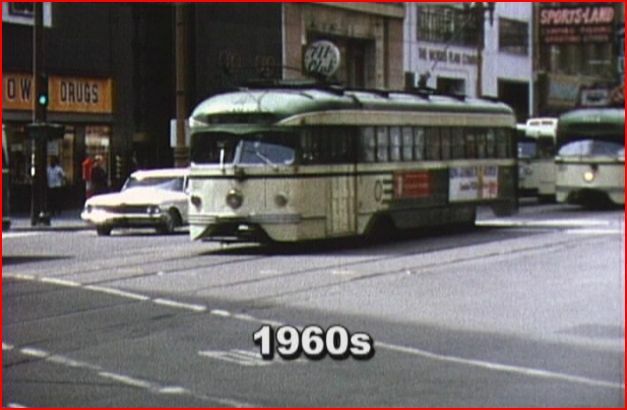 Action packed and many, many assorted PCC cars in a world that has passed into history. In a word, this shows is: Colorful! Beautiful restoration and digitally enhanced films are the foundation of this program. Tight curvature, tunnels, street trackage, and single car trains offer unlimited possibilities for modellers. Stunning soundtrack that brings many of the street scenes to life! Squealing wheels on curves, automobile traffic and it’s much more than just generic car audio. Obviously, an extreme effort was involved to bring this aspect to the viewers. 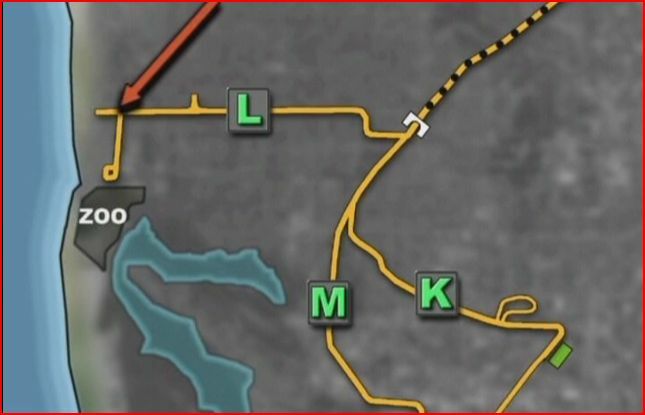 Those custom made maps are very labor intensive to produce. They are in abundant supply. 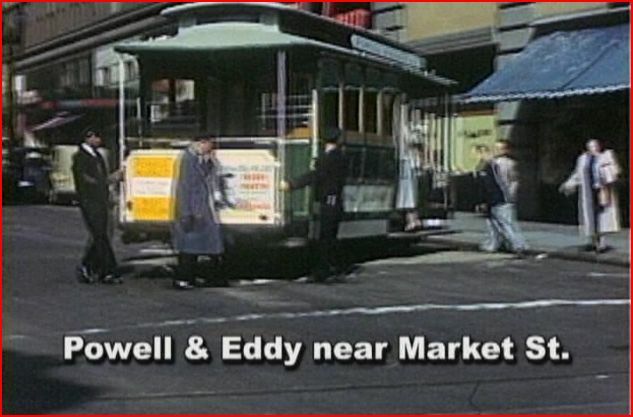 Viewers will always maintain a sense of direction and location around San Francisco. the various letter lines are explored and explained in detail. A trip out to the Zoo is illustrated along the L line. 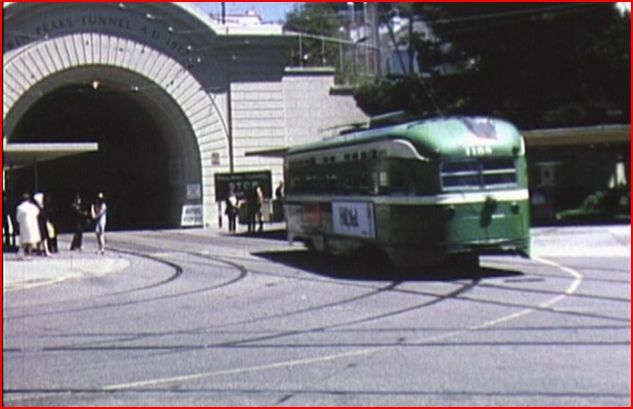 Note the tunnel designation. Check the turnaround loop at the Zoo. The locations and the years bounce around at a quick pace. On screen graphics are a nice touch. 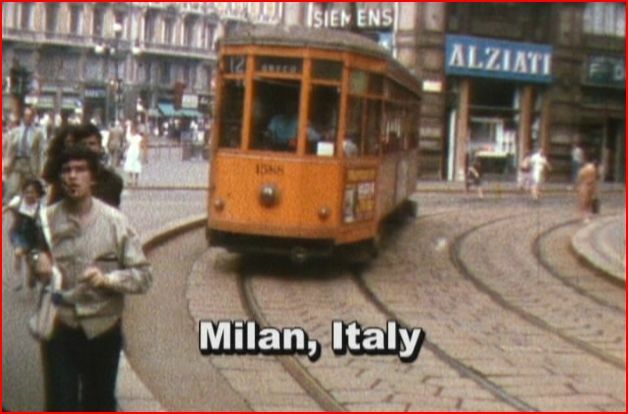 Cable cars are probably the most famous aspect. Here the crew hand turns the car. 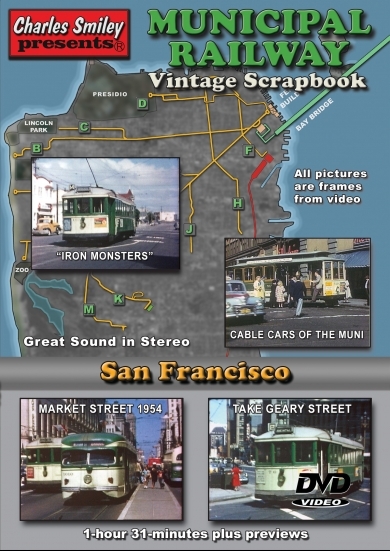 Excellent chapter on the history, operation and updates to the cable cars. 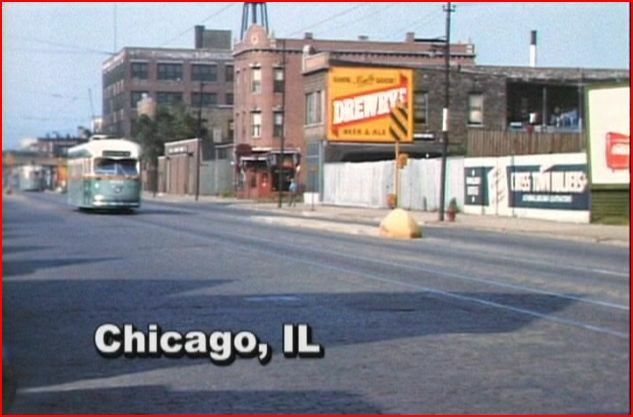 A bonus to watching the old films are the inclusion of period: autos, trucks and buildings/ signage. 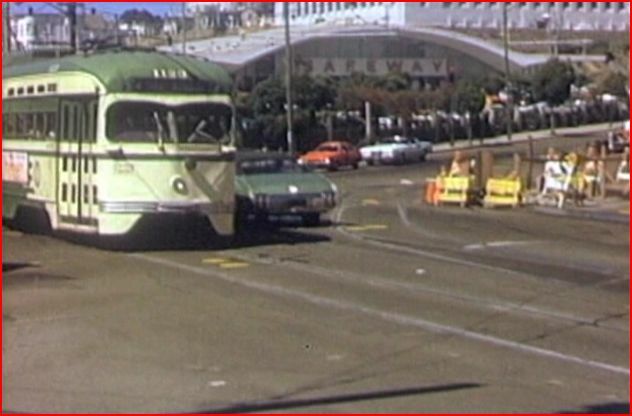 An old Safeway looks on to the trolley passing. An Oldsmobile Cutlass is seen here. Yes Junior, they made cars, as part of General Motors. The year is 1954. Market Street business is vibrant. This street gets extensive coverage, in multiple time periods. A restored service car that now is passenger hauler. An early livery adorns this car. This car is the sole survivor of a class of 125. Charles has very detailed and complete narration. Too much info to absorb in a single sitting. 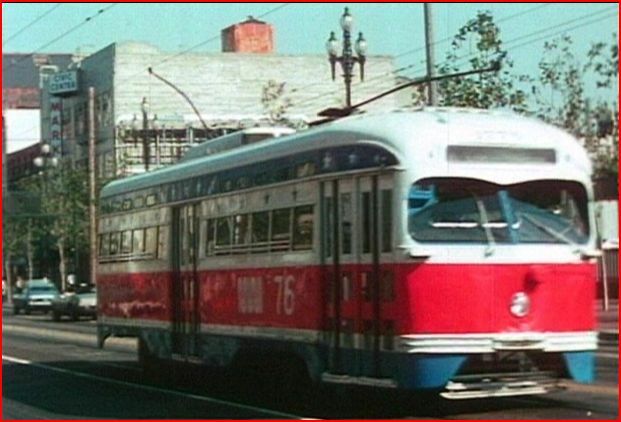 This show will teach the viewer about the transit operations and provide a wealth of history. 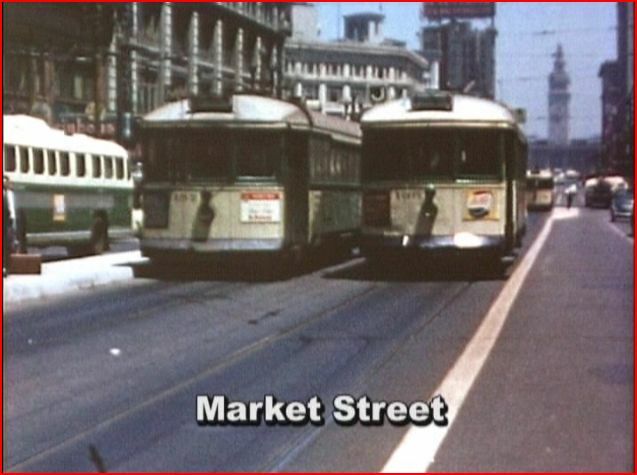 There are some pivotal points that kept San Fran in the trolley business, when other cities were busy scrapping theirs. Towards the conclusion, various other cities are visited. 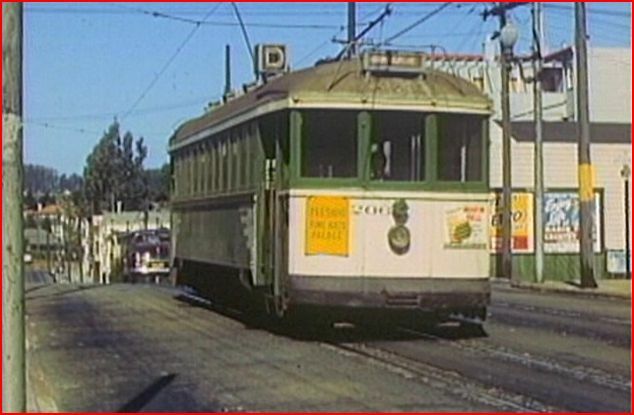 Historic reels display trolleys in places such as: Boston, Chicago, Kansas City and Los Angeles. Muni has acquired cars from these US cities. Chicagoans will appreciate the old Drewrys Beer signage. Chicago Transit Authority. Full Color 1940’s footage. 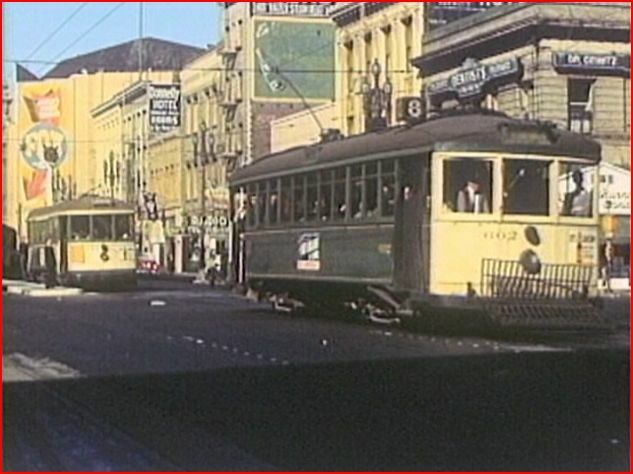 Note the old Fox Theater in the background. In summary, this is another outstanding release, from one of the top producers of train videos. The reasonable list price represents a good value to buyers. 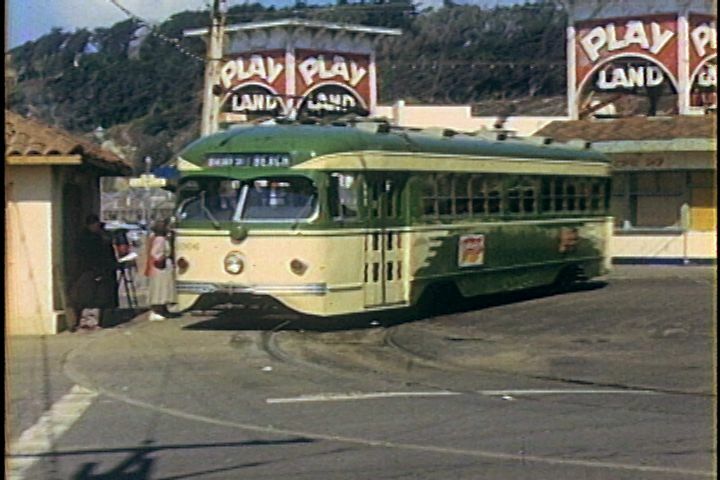 If you have never purchased a trolley show, this is a great one to start an interurban collection. 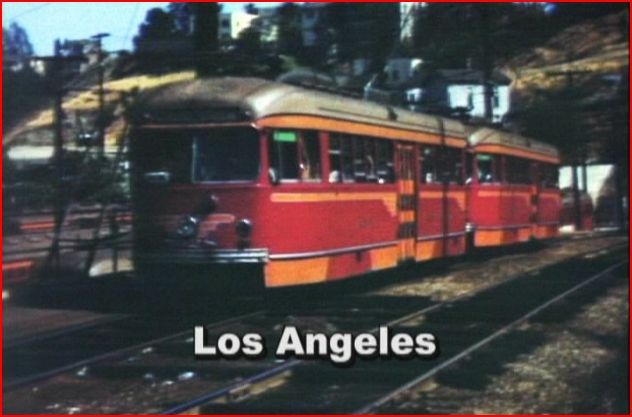 This entry was posted in ATVR Reviews, Charles Smiley Presents and tagged American Train Video Reviews, California, electric, transportation, trolley by William J. Hudson. Bookmark the permalink.